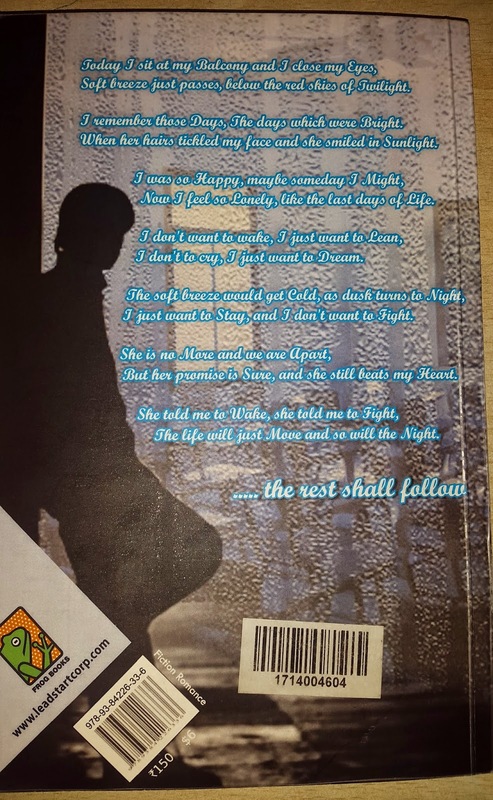 Six Teen Mistakes - The Waxing Moon is a romantic fiction written by Nikhil Kushwaha and published by Leadstart Publishing Pvt. Ltd. I have received this book as a part of Book Review program from The Reader's Cosmos. This is writer's debut novel having glimpses of his own life. 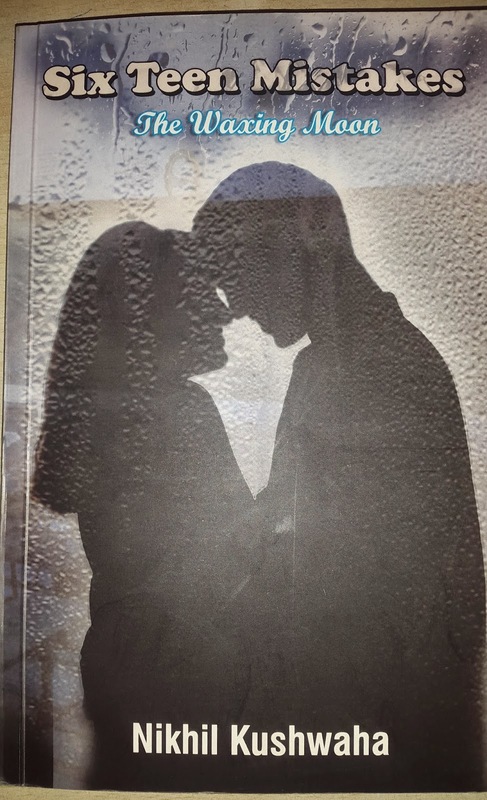 Cover : Cover page with a shadow of a girl and a boy is enough to have an idea of romantic story you are going to read. But as you look at the back page a poem in remembrance of a loved one and a shadow of a lonely boy hints at their incomplete love. Plot : First of all I want to make it clear that this book is only half the story and to read the complete story you will have to wait for the second part. This part starts with narrator's claiming himself as DILM (Deficiency in Intelligence, Luck and Money ) while narrating his teenage life to a girl named Priya at Puri Beach in Orissa where they both appeared for the first phase counselling of JEE. He then describes his teenage life after when he joined the Kendriya Vidhyalaya in 11th standard. How he make new friends? How he involved in some immoral practices? His love at first sight? The separation with that girl and then finding true love in another girl. Will his second attempt at love was a success? The story ends with many unanswered questions about his unfinished love story and about that girl who made him realize true love. Boilers : The high points of this book is small poems weaved in between the story giving a unique style to the narrative. All teenage characters are believable and you can easily finds them in today's school or perhaps experienced them in your own school life. Simple language and fast narrative make it engrossing. The writer is not judgemental about any character and that's what give you liberty to have your own opinions about the characters and the story. Being a Bollywood movie buff myself I also liked the movie references and one liners from them. It is a complete masala kind of a novel. Spoilers : Writer seems influenced by Bollywood movies and specially Shahrukh Khan. Sharing story with a stranger (Anjana Anjani ), experiencing presence of beloved after death ( Mohabbatein), preserving tear drop (Kuch Kuch Hota Hai ), believing in true love and waiting for someone special (Dil To Pagal Hai). These and many such instances in the story reminds you of Hindi movies. Story would have been better if based in college than school for the kind of freedom they are getting there. Incompleteness is also a setback. Verdict : Read for a feel of youthfulness,energy and for the poems weaved in between the narrative. Specially recommended for Hindi movie buffs. Rating : I would give 3/5. I thought u are also a fan of SRK, that's why u got the author's point of view in his book.